Hand-crafted hollow form earrings of brushed silver are reminiscent of a lotus petal. 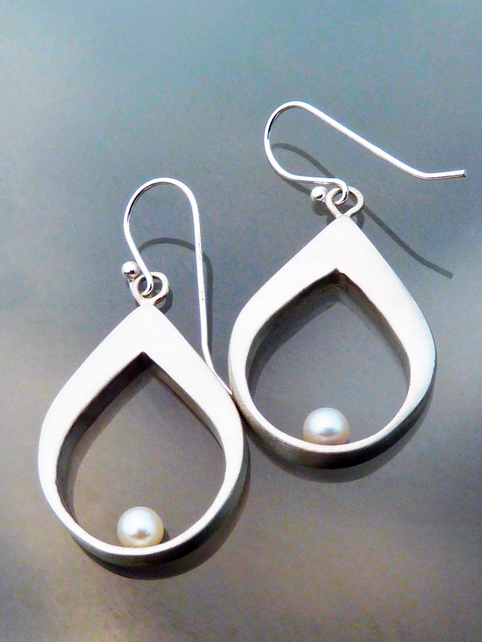 A pearl nestles gently on the inner opening of each earring. Stunning! These work well in formal and casual settings. Each earring is one-of-a-kind. Approximately 1 1/2 inches long by 3/4 inches wide, about 1/8 inch deep. Earring wire is sterling silver. Signed on the back.